Vou ser bem honesto com você, eu nunca tive muito contato com Si Sok Domenico durante estes anos. Sei que ele é Flamenguista, tem dois filhos , mas principalmente, sei que ele já estava no Clã antes que eu soubesse de sua existência. Let me be honest with you, I never had much contact with Si Sok Domenico during these years. I know his soccer team is Flamengo, he has two children, but mostly, I know he was already in the Clan before I knew of its existence. 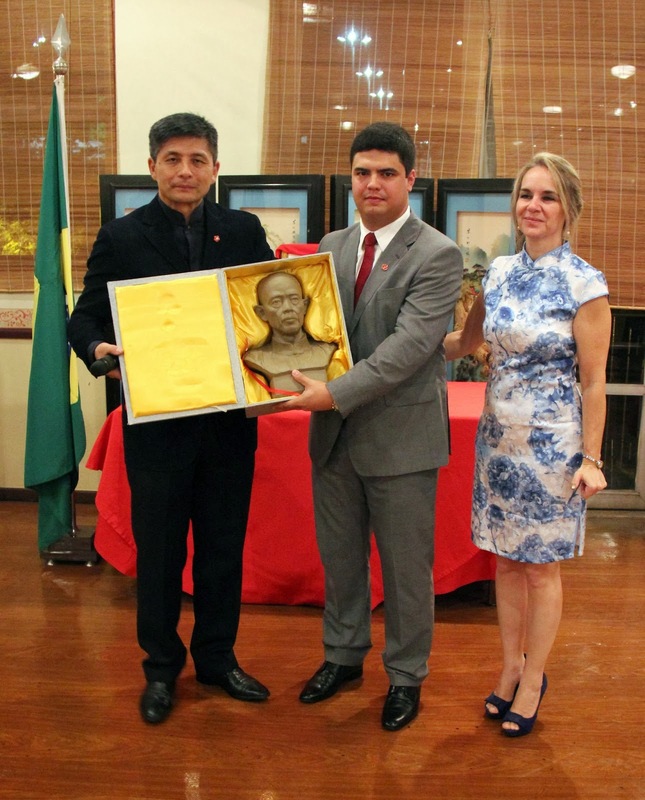 Como disse, não tenho muitas histórias com o Si Sok, mas seus irmãos Kung Fu sempre pareceram gostar muito dele. 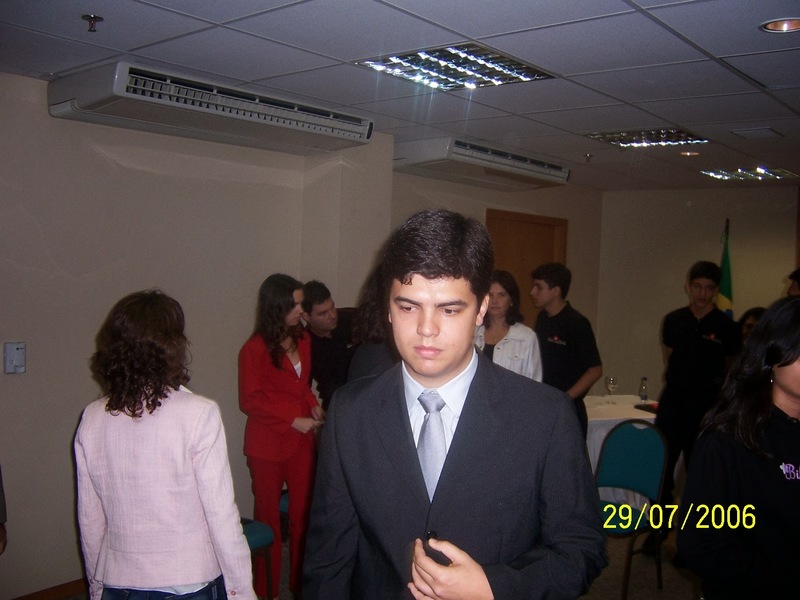 Como vemos nessa foto de 2004, os Si Sok Felipe Soares e sua irmã Si Sok Nandinha com ele. O Processo de Titulação Tutorial do Programa Moy Yat Ving Tsun de Inteligência Marcial da Moy Yat Ving Tsun Martial Intelligence prevê 4 títulos tutoriais: Tutor, Mestre, Grão-Mestre e Patriarca. O título de Mestre envolve duas classes: Mestre Qualificado e Mestre Senior e é ostentado por aquele que está autorizado a dar acesso a todos os níveis do Sistema Ving Tsun (Wing Chun). A Cerimônia de Titulação Tutorial de Mestre é uma cerimônia que foi elaborada para formalizar, em âmbito internacional, os títulos tutoriais daqueles que salvaguardam o Sistema Ving Tsun (Wing Chun), com total apoio da International Moy Yat Ving Tsun Federation. The process of Tutorial Title of Moy Yat Ving Tsun Martial Intelligence Program of the Moy Yat Ving Tsun Martial Intelligence provides 4 teaching titles: Teacher, Master, Grand Master and Patriarch. The title of Master involves two classes: Qualified Master and Senior Master and is sported by one who is authorized to provide access to all levels of Ving Tsun (Wing Chun). The ceremony of Qualified Master is a ceremony which was drafted to formalize, internationally, the teaching titles of those who safeguard the Ving Tsun (Wing Chun), with full support of the International Moy Yat Ving Tsun Federation. 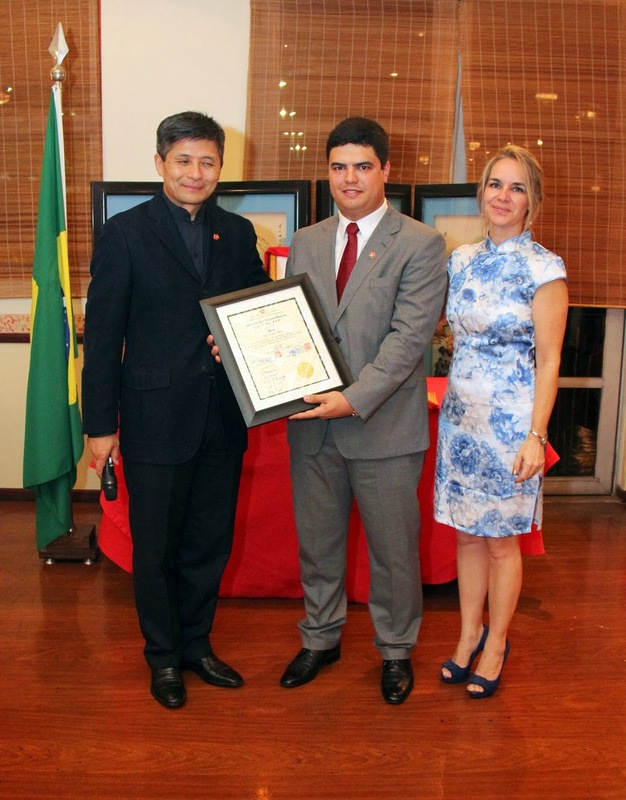 Mestre Domenico Bernardes e sua esposa (Maysa Heiko Bernardes) recebem o 3º símbolo de legitimidade (a Placa Tradicional, símbolo da autorização para a Fundação da Família Moy Doh Ming). 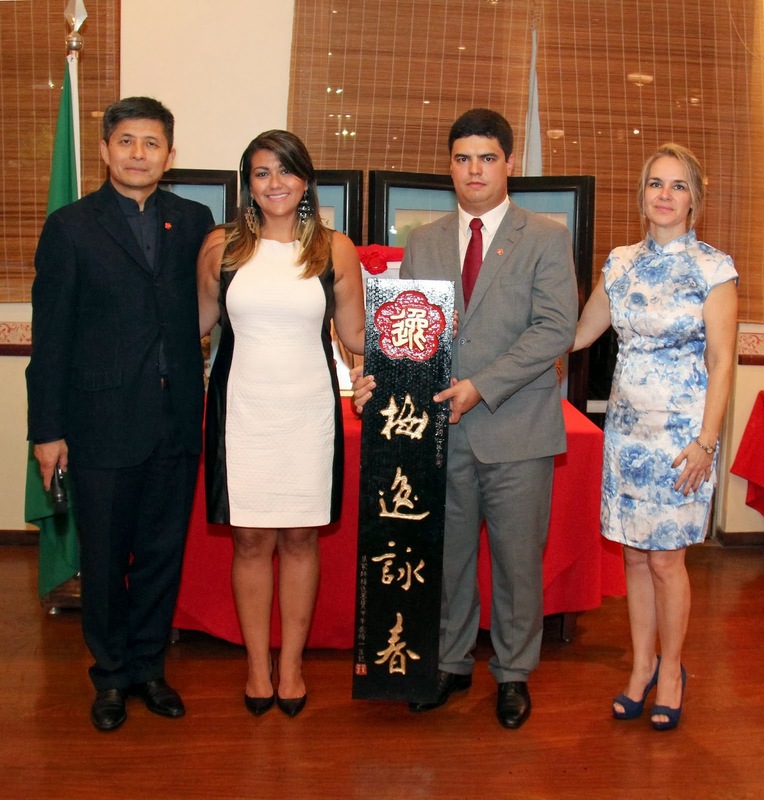 Master Domenico Bernardes and his wife (Maysa Heiko Bernardes) receive the 3rd symbol of legitimacy (Traditional Plate, authorization token for the Foundation of Moy Doh Ming Family). Neste momento Mestre Domenico Bernardes ocupa a cadeira no conselho de Mestre da Moy Yat Ving Tsun Martial Intelligence. 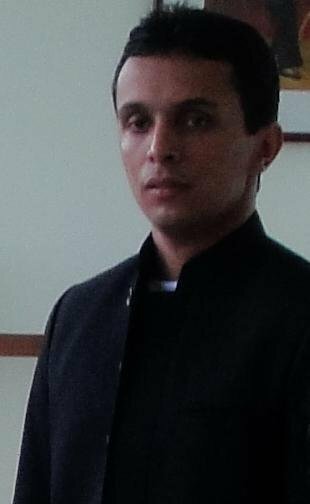 At this time Master Domenico Bernardes occupies the chair of the board of Masters of the Moy Yat Ving Tsun Martial Intelligence.